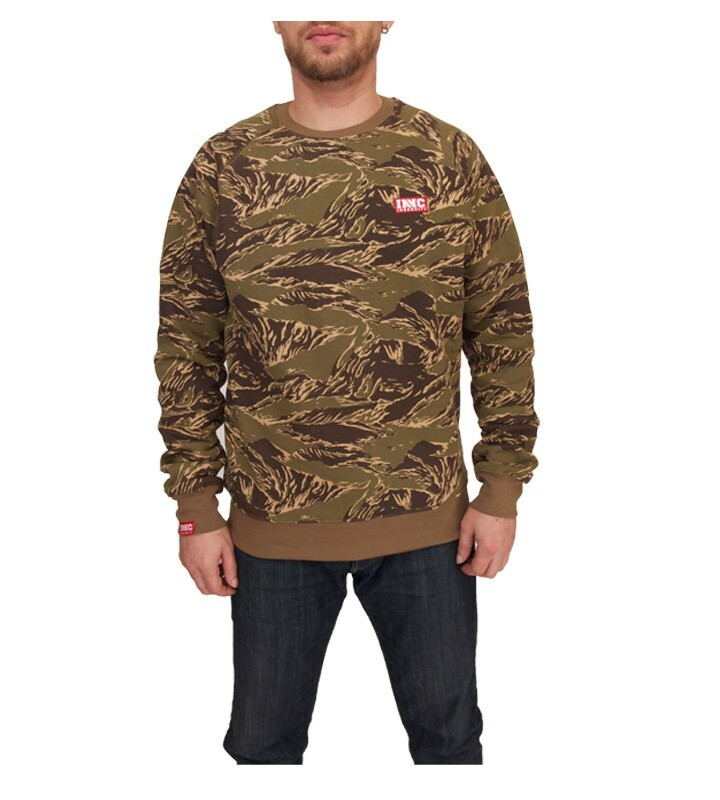 Innercity Camo Jumper - Urban clothing & apparel at Electrowear. This is a cool Camo style crew neck jumper design by Innercity clothing. This jumper comes in a camoflouage colour, it carries a large towel embroidered design & wording on the back of the jumper in an off white. This is a crew neck style jumper, it has ribbed cuffs & neck, this jumper carries the INC logo branding on the front chest & right wrist cuff. This jumper is made from 65% cotton, 35% polyester. Machine wash at 40C with like colours on reverse.